Wivenhoe footballers after a successful season. When? who? 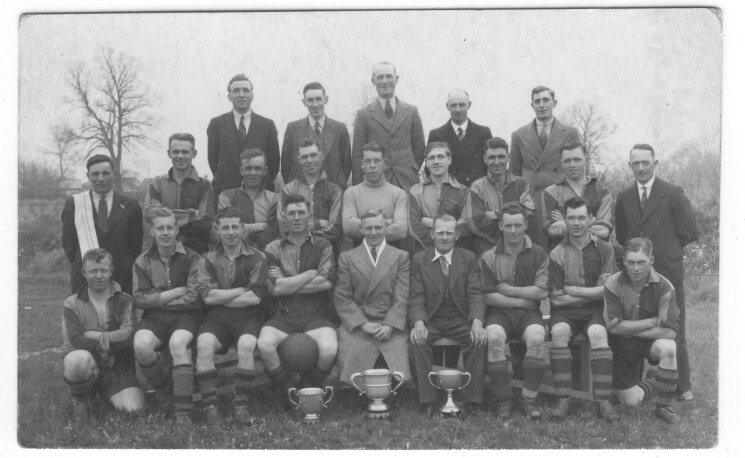 See also the history of Wivenhoe Town Football Club which started as Wivenhoe Rangers. The captain of Wivenhoe Rangers was Harold Bally Green. This was before the 2nd World War. Hector Barr is behind the cup with a coat on. He was a blast sail maker in Wivenhoe. He owned a Wivenhoe One Design, No.3, called Ranger.